St. Thomas' Church in the parish of Heatherycleugh (Lanehead, Cowshill & Wearhead) was opened on February 6th 1915 by the Bishop of Jarrow Dr. Quirk. 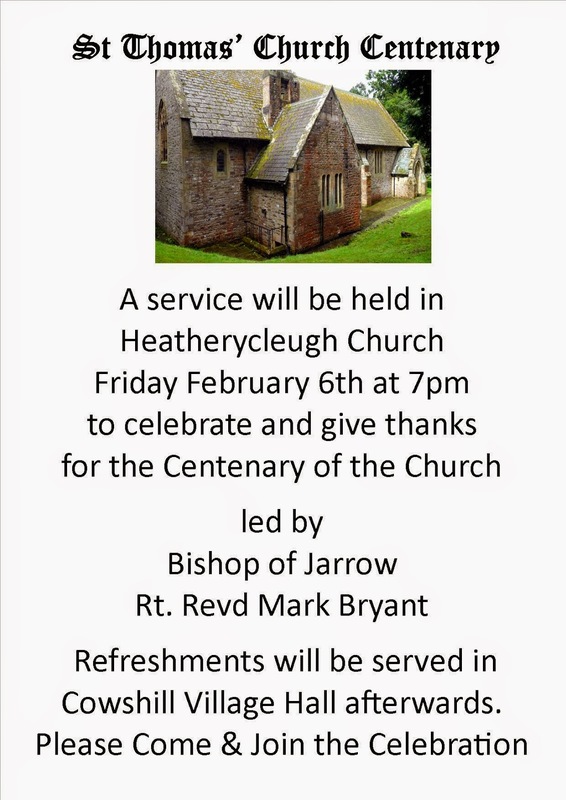 To celebrate the centenary the Bishop of Jarrow Rt Revd Mark Bryant is leading a service of celebration and thanksgiving on Feb 6th 2015. Please come along and join us if you are in the area. Thanks for the photos of the area. Get a real feel for the ancestors who came from this area in 1852. What a different country. They must have really got homesick sometimes. which part of Weardale did they live?